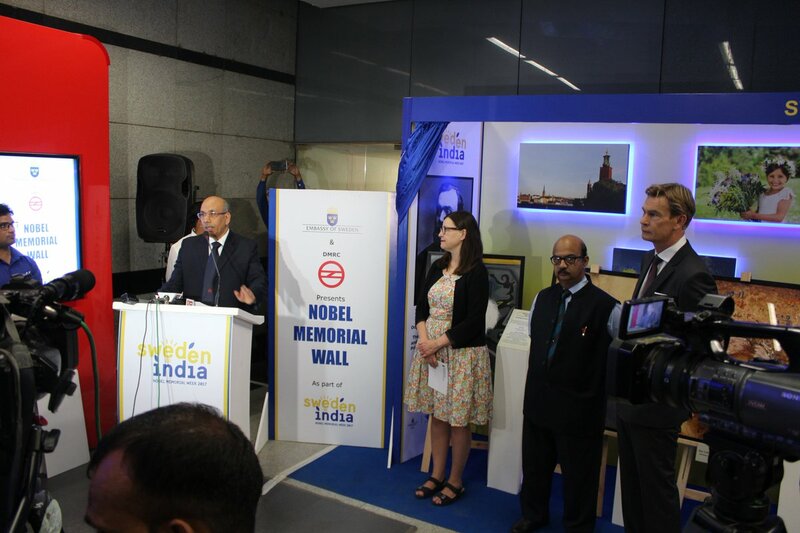 New Delhi: The Embassy of Sweden and the Delhi Metro Rail Corporation (DMRC) Ltd today jointly inaugurated the Nobel Memorial Wall at the Rajiv Chowk Metro station of the Delhi Metro network. 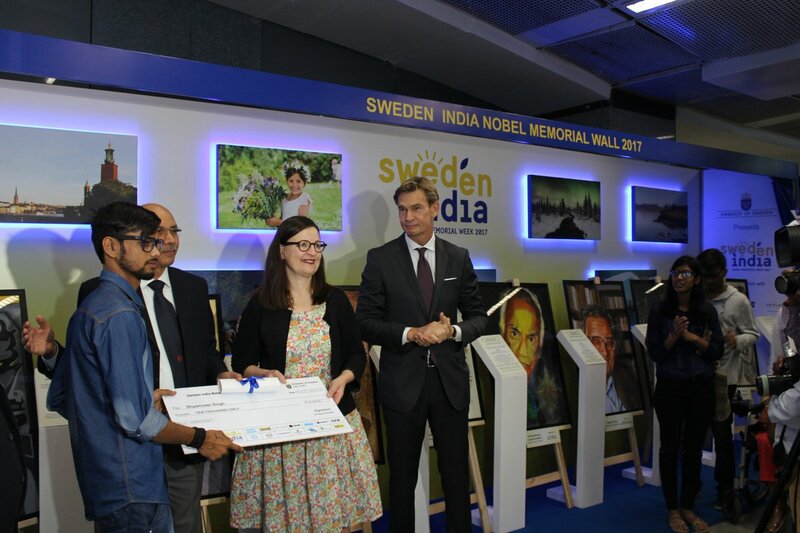 The aim of exhibiting this wall is to spread further awareness about all the Nobel Laureates from India and their contribution to the society. The wall will be on display from 1st November to 7th November 2017 at Rajiv Chowk Metro station of the Delhi Metro. The one-of-its kind Wall exhibits paintings by the students from top Fine Art Colleges in Delhi NCR. 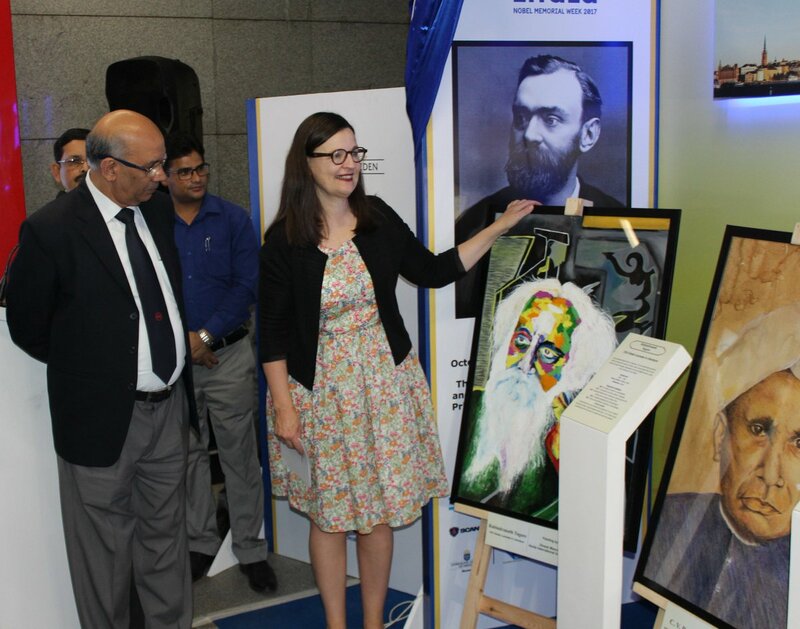 The portraits of Rabindranath Tagore, CV Raman, Hargobind Khorana, Mother Teresa, Subrahmanyan Chandrasekhar, Amartya Sen, Venkatraman Ramakrishnan and Kailash Satyarthi were selected by way of a painting competition conducted by the Embassy. The jury for the competition, which received an overwhelming response, consisted of India Today Group Editor Kaveree Bamzai, Artist Naresh Kapuria and Head of Economic section at the Embassy, Josa Kärre. Ms. Anna Ekström, Minister for Upper Secondary School and Adult Education and Training, Government of Sweden and Dr. Mangu Singh, Managing Director, DMRC together unveiled the Wall. 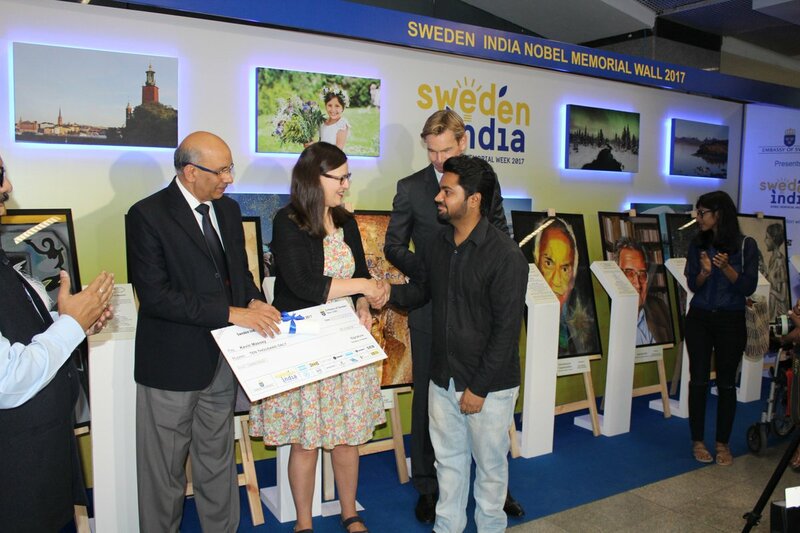 Partnering companies for Sweden India Nobel Memorial Week 2017 are: Atlas Copco, IKEA, Oriflame, SEB, SAAB, Sandvik, Scania, Tetra Pak, Volvo Cars and Volvo Group.